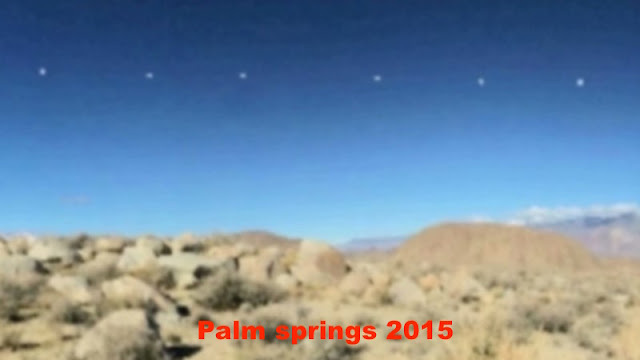 UFO SIGHTINGS DAILY: Helicopter follows and waits patiently for UFO to leave the area In Palm Springs, Feb 4, 2017, UFO Sighting News. Helicopter follows and waits patiently for UFO to leave the area In Palm Springs, Feb 4, 2017, UFO Sighting News. 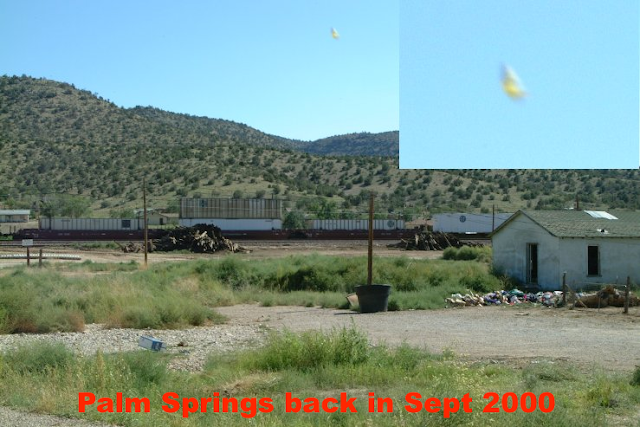 These are two examples of real UFO sightings at Palm Springs, but not the one from this report. Wow, I read this report and I really wish I was in Palm Springs to see it. This guy saw a helicopter hunting a red orb UFO that had landed on the mountain top. Of course the helicopter can only watch and wait for the aliens to get the message to leave. I included two photos above of past UFO sightings in Palm Springs, because the report didn't come with one.